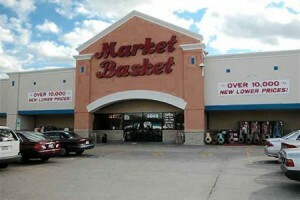 Arthur T. Demoulas has capped the summer battle over grocery chain Market Basket by completing a deal of $1.6 billion on Friday to buy out his cousin and former rival taking majority control of the family operation. Under the new deal, Demoulas will have 50.5% of the business he did not already own from Arthur S. Demoulas his cousin and other members of his family. The transaction has officially put in back into the CEO seat that last June he had been ousted from. Demoulas said that Saturday was an exciting day for the entire family of Market Basket. The purchase places significant debt on the books of the company for just the first time. That debt includes a mortgage loan of $1 billion backed by real estate of Market Basket, underwritten by Morgan Stanley and one large insurer whose name was not released. An additional loan of $600 million, which Merrill Lynch leads and includes KeyBank according to executives at Market Basket who could not publicly speak about the financing and requested anonymity. A number of banks in New England will take pieces of the second loan. The deal’s closing ends a family feud of decades over a popular chain of supermarkets with annual revenue of more than $4 billion and a clientele that is fiercely loyal that shops at its 73 locations across Maine, Massachusetts and New Hampshire. As one sign of how strong it is financially, the company distributed annual bonuses to employees this week. The company recently launched three new locations and will open another two early in 2015. The long-term family disagreements came to a public head last summer after Demoulas was ousted by a board of directors that his cousin led. That action provoked an employee revolt that was unprecedented showing their loyalty to Arthur T., who is known for being generous to his employees. Customer soon joined the revolt by boycotting stores, essentially shutting the company down for almost two months. The pressure from this helped to pace the way for the deal for Arthur T. to buy out his cousin.